Tuk-tuks in India are perhaps one of the most common, and most enjoyable ways to get around the cities you visit. Taking numerous Tuk-tuks during my time in the country, one particular journey stood out among the rest. I looked up from flicking through my photographs and traced my drivers wrinkled eye-line in the wing-mirror, precariously vibrating from the shell of his rusted Tuk-tuk. “Benka!” he shouted – this time with more passion. His large white, half complete smile filled the pebbled dusty mirror, angled in such a way that it did little to aid driving. Still keeping eye contact he tooted his horn and his smile grew further, as the traffic in front went unnoticed. Benka was the name of his beloved tuk-tuk. A decade back he’d given the same grin to a honeymooning America couple, as he swerved around a little less traffic but just as many bikes and people. He’d bought the tuk-tuk straight from the factory that day – it hadn’t a single mile to its name. 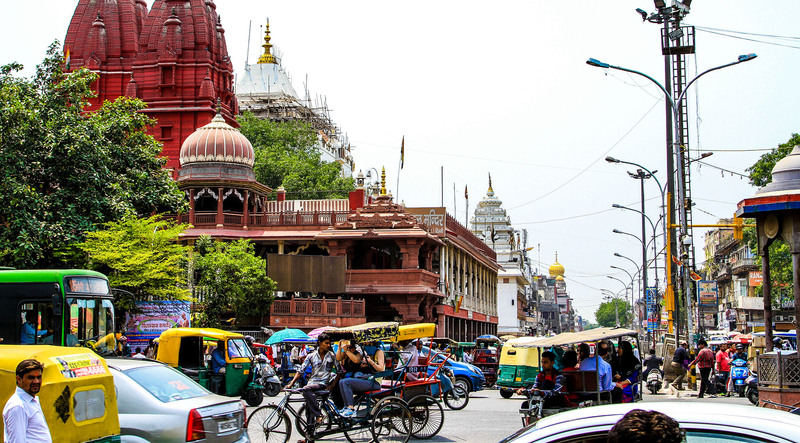 Ben and Karen, his auto’s first guests, were paying a pre-agreed $2 for a ride to Hazrat Nizamuddin railway station as they journeyed south on the next leg of their trip along the Golden Triangle to Agra. Upon dropping them off, the couple tipped Abha $8, paying what they felt was due. In honor, he called his sparkling new tuk-tuk, Benka – a combination of both their names. “She is my second wife”, he said – having spent a good 30 seconds meandering around taxi’s and ladened tuk-tuks using only his peripheral vision. “She is my second wife”, he said – having spent a good 30 seconds meandering around taxi’s and ladened tuk-tuks using only his peripheral vision. 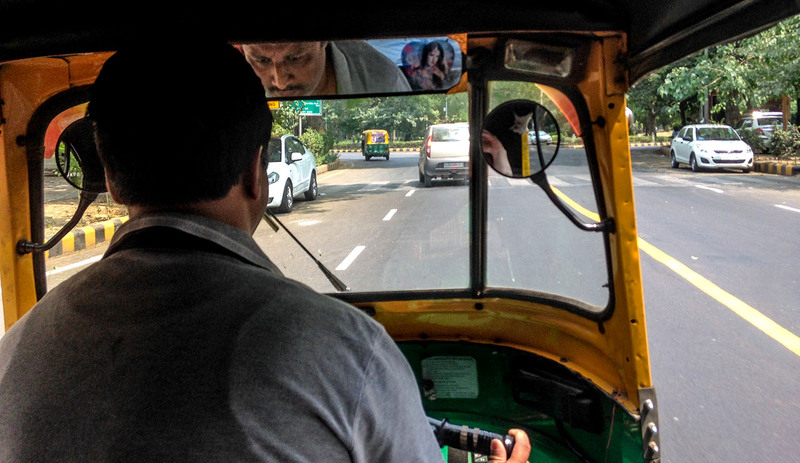 This wasn’t unusual for drivers of tuk-tuks in India – looking at the road directly ahead of you is non-essential. Knowing what is going on to your left, right and behind are more important. There was obviously a strong bond between Abha and his dear Benka. She was his lively hood, his family five-door saloon…without the doors, and his transportation in the place he’d always lived, and always would live. The drivers of tuk-tuks in India are without a doubt some of the friendliest people you will meet. They know the lay of the land, what tourists want to see and visit, but they’re also stern businesses people and will flip at the drop of a hat if you piss them off. Know the distance you need to travel first, how much it should cost, and pre-agree that amount before you go anywhere. I was taking the same route, travelling from the [eafl id=”1640″ name=”The Metropolitan Hotel & Spa New Delhi” text=”The Metropolitan Hotel & Spa New Delhi “] to the same station as the American couple – paying the equivalent of around $4. Probably a little over priced for the 10-minute journey but these people live off what you give them – and pay for fuel, their licenses, and much more. So, whilst I love a haggle, squeezing a driver down to something unreasonable is just bad karma. Abha was up for a conversion it seemed, perhaps looking to improve his English or pass the lonely times of the same roads and the same argumentative customers. I turned off my phone and grinned cheerily in the direction of his blustering mirror. “Benka. She dies tomorrow”. His head dropping and his wide grin turning into a frown. His two hands on the bike’s handlebars tightened, comforting his beloved second wife. “What do you mean”, I asked, reflecting the same exaggerated frown as he. In Indian-English Abha explained to me that every ten years tuk-tuks in India must go to tuk-tuk heaven – a rule dictated by state and rigorously enforced. Costing around 300,000 Rupees, or £3000 – depending on which side of BREXIT you are reading this, it often takes an entire 10 years to save the money needed. A petty 1500 rupees is given as a donation for the scrapped tuk-tuk by the government, hardly going anywhere towards paying the cost of the new auto. At around £2 per journey, you’re looking at 1500 journeys to pay for your new livelihood. That’s 100 solid days of working without even considering living, fuel, or upkeep. Tuk-tuks in India don’t have it easy. The irony here I find is that although rusty and decrepit, these machines are loved and adored. ‘Second wife’ was perhaps a slight joke, but relatively truthful. Drivers know their engines like naked women (or men). They know how to annoy them, what makes them tick (or tuk), and their small quirks that shape their metallic personality. Tuk-tuks in India are also looked after to within an inch of their life. They have to be reliable, safe (ish), and do the job they were made to do. Without their tuk-tuk, they have no income. 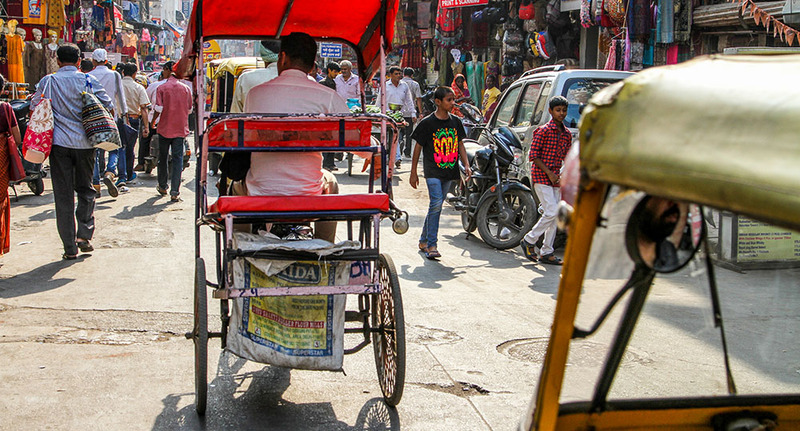 The 10 year curse of tuk-tuks in India is designed to maintain safety – probably for the benefit of tourists. Perhaps it’s a little too rigid I thought? We jolted to a stop outside the station and me and Alex lugged out our backpacks and paid the driver. A small tip of just £1 was all we were able to give, but something is more than nothing – and if anything a gesture. He smiled, thumbing the notes into this back pocket. “JALEX”, he said, his eyes sparkling and his hand resting on the roof of Benka. His next tuk-tuk, gleaming, shiny and ready to service him for the next 10 years, was going to be named after us. Notice I have not put a link! This was the worst experience in the whole trip. Damp bed-sheets, our rooms were ready – at 10pm!!!! They have overbooked so we had to have twin rooms not single. If you know of a good hotel in Mumbai please mention it in the comments! [eafl id=”1644″ name=”Hotels in Mumbai” text=”Click here”] for other hotels options in Mumbai. 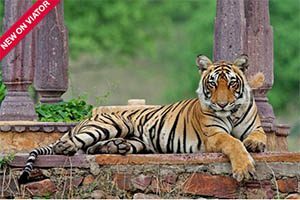 From Japiur we organised a two-day safari to Ranthambore National Park. The Tigers here are the biggest pull but there is such a diverse amount of wildlife in the park I’d urge you to go with an open mind – and not solely focus on the Tiger else you may be disappointed. You can find a range of tours [eafl id=”1642″ name=”Viator India Safair” text=”here on Viator”] .